Set of three votive candles. Metal/paraffin wax. Large paraffin wax candle in metal vessel. The inspiration for this candle is Ben Gorham's mother's lipstick in the 80's. The rose water and violet are dominant in this fragrance, a cheerful candle with a very feminine touch, this candle burns for 60 hours. Hand-poured in Nashville, Tennessee and housed in minimalist ceramic vessels, this candle features natural scents that take their inspiration from national parks. Each evocative blend will transport you to memories of forests, deserts and sunlit paths. A.MORE: The depth of tobacco pairs perfectly with warm vanilla notes, offering an irresistibly cozy scent that inspires comfort and relaxation. (FRESH). O.CCASION: A sparkling blend of ripe cassis and spicy-sweet bergamot with an unexpected twist of black pepper. (WOODSY). H.OMME: A refreshing scent of lavender, cedarwood, and green tea, anchored in rustic earth elements. (FRESH) With a refined design + elegant scent profiles, our Clare De Lune candle is equally sophisticated in scent as it is when placed on your desk. Housed in a glass jar with a chic label and cotton wick. Custom-blended essential oils enliven your space to create an inviting ambiance. Infused with a blend of pure essential fragrance oils, the Mood Collection uses the science of scent to boost your mood and improve your day. Started by Brit Roennigke in her quest to capture the intoxicating scent of citrus blossom and jasmine in her Los Angeles neighborhood of Glassell Park, ROEN delivers small-batch candles that are lovingly handcrafted with unique, irresistible scents. Capturing the signature scents of California, Norden distills the evocative notes into their signature candles. Housed in glazed ceramic jars and made from a blend of coconut + apricot wax, these candles utilize essential oils to craft their spot on scent notes. Handcrafted soy candle from P.F. Candle Co. made using domestically grown soy wax, cotton core wicks, fine fragrance oils and apothecary inspired packaging. In natural, intoxicating scents that we love, each candle is hand-poured in an amber glass jar with a simple label and brass lid. This travel size is perfect for taking with you on a trip to liven up stale hotel rooms. PF Candle Co. is an artisanal candle company based in downtown Los Angeles, run by a husband and wife team focused on creating high-quality, small batch soy candles. Modern and minimal, Aydry & Co. blends its creative director's Japanese philosophy and heritage with LA's organic and vegan vibe to cultivate an aesthetic that is at once minimalist and sophisticated. Made with a soy and coconut wax blend, this candle is infused with natural oils, imparting a lovely scent. White Tea: a soothing blend of white tea and subtle fruits (FRESH). Vintage Rose: a bouquet of English rose and amber musk (FLORAL). Modern and minimal, Aydry & Co. blends its creative director's Japanese philosophy and heritage with LA's organic and vegan vibe to cultivate an aesthetic that is at once minimalist and sophisticated. Pink pomelo grapefruit and watery green nuances are blended with lily of the valley and coriander blossom. Sicilian Tangerine: Juicy notes of Sicilian tangerine and bergamot entwined with exotic mango and passionfruit (FRESH). Apricot Tea: Juicy, sweet, and slightly tart apricots blend into the richness of black tea leaves and golden amber, enlivened with a subtle touch of bergamot (FRESH). 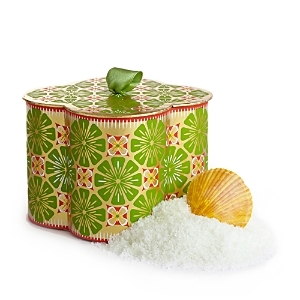 Bamboo: Flowering bamboo mingles with a bouquet of white florals, sparkling citrus, and fresh green accords (FRESH). Moroccan Amber: Moroccan amber, sweet patchouli, heliotrope, and bergamot are accented with a hint of eucalyptus (SPICE) Sicilian Tangerine Reed Diffuser: Sicilian tangerine and bergamot are entwined with exotic mango and passion fruit. Nest Fragrances Ocean Mist & Sea Salt 3-Wick Candle Nest Fragrances White Camellia 3-Wick Candle Nest Fragrances Cedar Leaf & Lavender Classic Candle, 8.1 oz. The refreshing essence of a gentle ocean mist is combined with hints of sea salt, white tea and coconut. Fresh camellia, wisteria, and Indonesian jasmine are a beautiful combination, though when intermingled with crisp notes of white tea and amber, the fragrance is simply breathtaking Rosemary, lavender and sage are enhanced with cedar leaves and a touch of eucalyptus. Since 1970, Agraria has been enchanting customers with rich, unique fragrances. With the belief that, "no great house is ever completely decorated until it has its most important decorative accessory—home fragrance", interior designers Maurice and Stanford started their own unique collection of Agraria candles, incense, sachets, bath and body products. 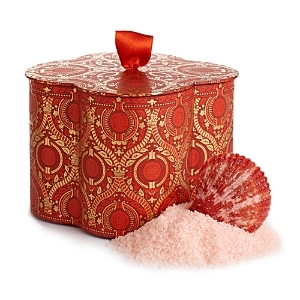 Luxurious packaging and the finest ingredients make them the perfect gift for anyone. AirEssence™ diffuses through sola flowers — made one at a time — by skilled artisans using the dried peel of the sola plant that is sewn onto a cotton wick. In keeping with the Agraria definition of "from the earth", sola flowers are a natural material and environmentally friendly. As the fragrant essential oils are absorbed through the cotton wick, the petals will change to the color of the oil as the scent diffuses into the air. Gift boxed with crystal glass tray and 3 sola flowers. Agraria's NEW PetitEssence diffusers are exact miniatures of our new AirEssence with flowers. Each PetitEssence now includes one flower handmade with slices of balsa wood. Gift boxed with crystal glass tray and 3 sola flowers. Gift boxed with crystal glass tray and 3 sola flowers. Agraria's NEW Petit Essence diffusers are exact miniatures of our new AirEssence with flowers. Gift boxed with crystal glass tray and 3 sola flowers. Agraria Petite Essence Collection - Nob Hill Fragrances Agraria Lime & Orange Blossoms TasselAire Agraria Golden Cassis Woven Crystal Perfume Candle, 7 oz. Agraria's original four fragrances from the 1970s: Bitter Orange, Lemon Verbena, Lavender & Rosemary and Balsam, beautifully presented in their 45th Anniversary Commemorative Box, designed to be kept as decorative storage for your most valuable treasures. Lime & Orange Blossoms—Lime and Orange Blossoms surrounded by the beauty of Night-Blooming Sampaguita, Honeysuckle, and Jasmine. Amber Woods, Smoky Patchouli and Oak Moss add depth to a velvety smooth background. Fresh oranges and berries mingle with cassis, rose, jasmine, and lily to create this calming and contemporary fragrance. At its heart is Galbanum, an ancient spicy and earthy aroma associated with reducing stress. Sandalwood, warm amber, and white musk drift through the background. In Mississippi, the artisans of Capri Blue honor the traditions of candle-makers from generations past by hand-pouring their signature soy wax blends into recycled glass vessels. Each clean-burning formula absorbs more fragrance oil than any other natural wax candle, and lasts twice as long. Volcano: tropical fruits, sugared oranges, lemons and limes, redolent with lightly exotic mountain greens (FRESH). Aloha Orchid: freshly picked orchids, jasmine and gardenia, mingled with white blossoms (FLORAL) Whether used during restorative yoga or at bedtime, this soothingly fragranced pillow is designed to deepen relaxation, help you fall asleep more quickly, or alleviate anxiety. In Mississippi, the artisans of Capri Blue honor the traditions of candle- makers from generations past by hand-pouring their signature soy wax blends into recycled glass vessels. Each clean-burning formula absorbs more fragrance oil than any other natural wax candle, and lasts twice as long. In Mississippi, the artisans of Capri Blue honor the traditions of candle- makers from generations past by hand-pouring their signature soy wax blends into recycled glass vessels. Each clean-burning formula absorbs more fragrance oil than any other natural wax candle and lasts twice as long. Volcano: tropical fruits, sugared oranges, lemons and limes, redolent with lightly exotic mountain greens. 250 hour burn time. Soy wax blend. Five wicks The line pairs striking visuals with intoxicating scents to create beautifully aromatic products like soy-blended candles and vegan-formulated beauty care.